The color shown in the picture above is S42/KHAKIBROWN. Designed with our Soft Swiss Lace, Brown Sugar 5x5 Lace Wigs provide maximum comfort and zero irritation. Freely customize your parting with the hand tied 5x5 lace spec. It’ll always look natural as can be! So go ahead and Find Your Sweet Parting with Brown Sugar 5x5 Lace Wig! With 5x5 Lace, you have the freedom to customize your parting from left to right to even down the middle. 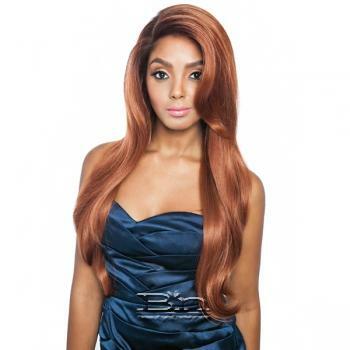 Achieve the natural part with Brown Sugar 5x5 Lace wigs.